Many people go through periods in their lives of being dissatisfied with their physical appearances, and this can in turn be one of the major sources of a generalised sense of insecurity. But the thing is, we’re not completely helpless when it comes to influencing the way we look, and if you feel unhappy with your appearance, there are various steps you can take. Here are a few things to consider doing if you find yourself in this situation. Research cosmetic surgery and discover what different procedures would entail and could realistically achieve. Cosmetic surgery* should really be a last-resort option, not a first resort by any means, but it is worth keeping in mind that cosmetic surgery has been improving steadily for some time now, and there are many things that an experienced cosmetic surgeon might be able to do for you if needed. The key thing is to research the options presented by cosmetic surgery before committing to them. Discover what different surgeries will entail. Seek out eyelid surgery video and descriptions before committing to eyelid surgery. Look up facial restructuring in detail before committing to it. Develop realistic expectations about cosmetic surgery and be mindful of the risks involved, but be aware that there are potentially helpful options out there. Work on improving your happiness and confidence in other domains of your life, and see how it alters your perspective on your looks. Sometimes in life, we project our insecurities and dissatisfactions onto things like our looks, when in reality, the true root of the issue is deeper and less easy to spot. It might be that if you improved your happiness and confidence in other domains of your life, you might find that you would feel significantly better about your looks, virtually overnight. Work on improving your happiness and confidence in other domains of your life, whether that means learning new skills, starting a business, or working past old hang-ups, and see how it alters your perspective on your looks. It’s amazing what committing in a serious way to your health and fitness can do for your looks. Healthier living, in general, can lead to better skin quality, better posture, and a more vital and attractive aura in general. Getting fit can help to develop curves where you want them to be, and reduce them where you don’t want them to be. 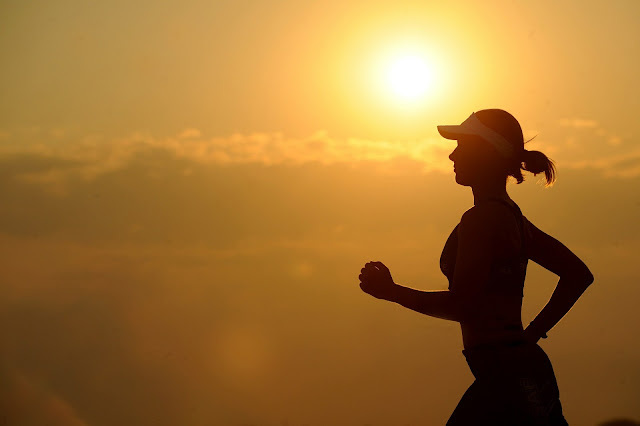 And aside from the direct effect of health and fitness on your looks, making steady progress on an exercise plan will naturally develop your sense of pride. There’s an old saying that goes “clothes make the man”, and you could say something similar about women, too. Of course, the stuff that really matters — your character, your morals, your personality — have nothing to do with what you wear. But the way you dress can have a very dramatic impact on how you look and feel on a daily basis. If you want to feel better about how you look, spend some time experimenting with new styles and seeking out new outfits that make you feel your best. I guess that's all from me and I'll see you guys on my next post. Take care! 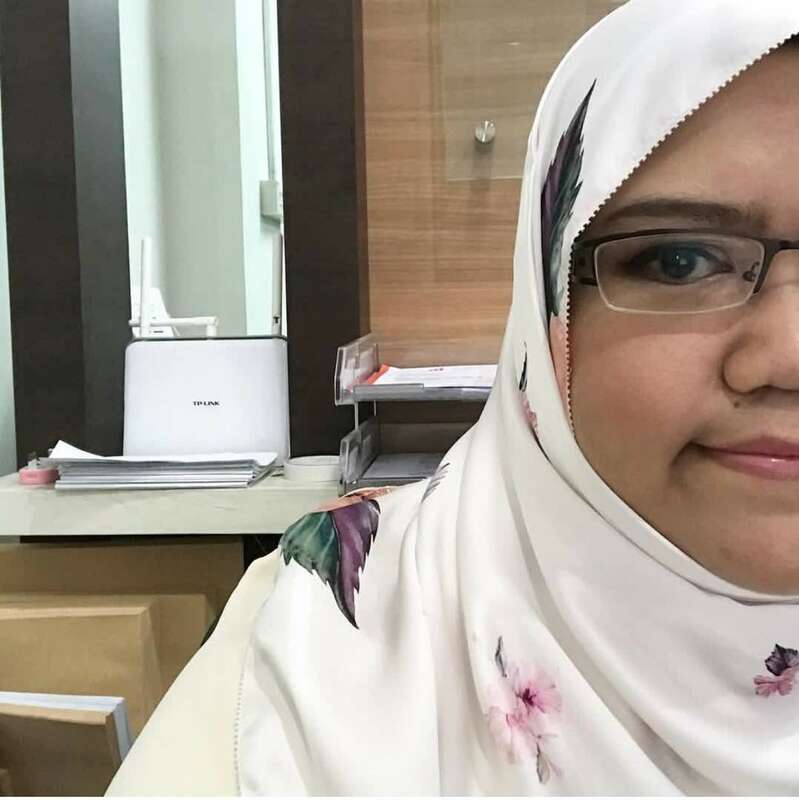 Blogger's note: *addressed to non-Muslim readers. I haven't found a solid verse of Al-Quran that state aesthetic surgery is haram but I'd like to state my opinion as fellow Muslim that I'm not encouraging at all as I believe everyone's created in the most beautiful way as Allah is the Most Beautiful and He loves beautiful things. Objection towards aesthetic surgery is not absolute as it's rather an objection towards exaggeration and extremism. Oh, my god! Just look at these bunch of makeup products from Althea and these are all under their in-house brand; Althea Exclusives including one skincare product that can help those who are stubborn enough to still applying makeup on acne like myself (thank God for the thinnest acne patch these days) and I'm going to do a makeup tutorial using most of the items I've got here. I've been noticing brands releasing their own rosy lipstick line which comprises several lip products in the shade of reds and pinks which is not coincidence I'd say with the Valentine and Spring season rolling in few months. Although I'm not really into red lipsticks but I guess it's not wrong having one or two that suit my skin tone for special occasions so I'm glad I get to try all of those lip tints from Althea. 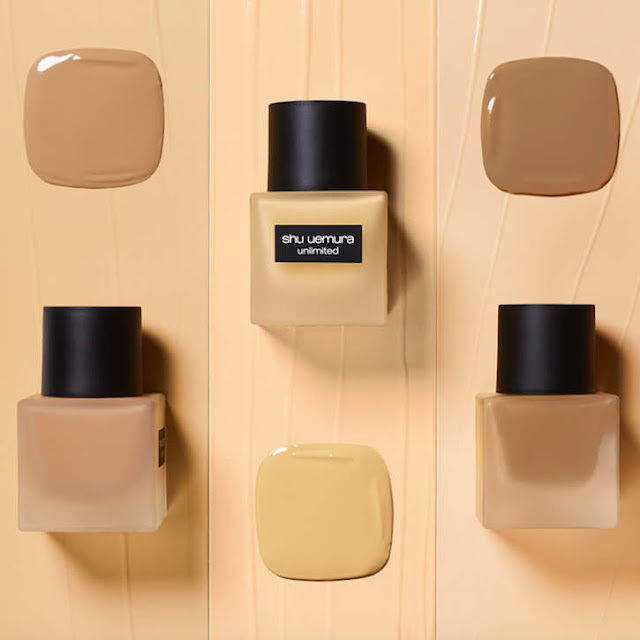 2019 is the year where brands are releasing/upgrading their concealers and Althea came out with their own 4 concealers! Looking at the shades, I think I can use 2 to conceal imperfections and the other 2 to use for my undereye area and highlight my brow bone. As I've tried some earlier, the consistency is quite thick/pigmented so I'm gonna experiment a bit to see how much product I need per usage. There are 2 products that I can use to highlight my inner corner of my eyes; my god, it's one of those products that was so popular several years ago when lots of Korean makeup YouTubers use it in their makeup tutorials but these days I don't really see that anymore as most of them prefer using shimmery eyeshadows for that so let's see if I could actually pull off that look. I'd say the highlight of this Althea makeup launch would be the eyeshadow palette and I love it! If you guys saw my Instagram Stories where I used 6 ZOEVA eyeshadow palettes to show the depth of my considerably new Christy Ng Bag so you'd notice that I hoard lots of eyeshadow palettes last year and this year, I'm planning to get one or two more palettes for Spring looks that I'm planning for more #myramakeupdiary that should be up next month on my Instagram feed. The Althea's palette has beautiful range of colours that can help you to create easy transitional day to night looks; natural to glam makeup looks so if you're beginner in makeup or just need a palette for traveling then do check out the palette! 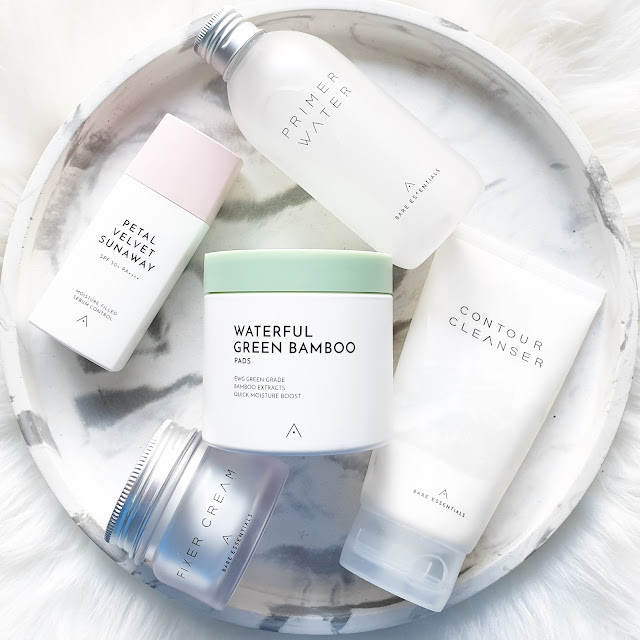 All of the above products are already available to purchase on Althea; links are down below and if you're new to Althea and planning to purchase more than RM150, use my link (click here!) for 20% discount off your first purchase! 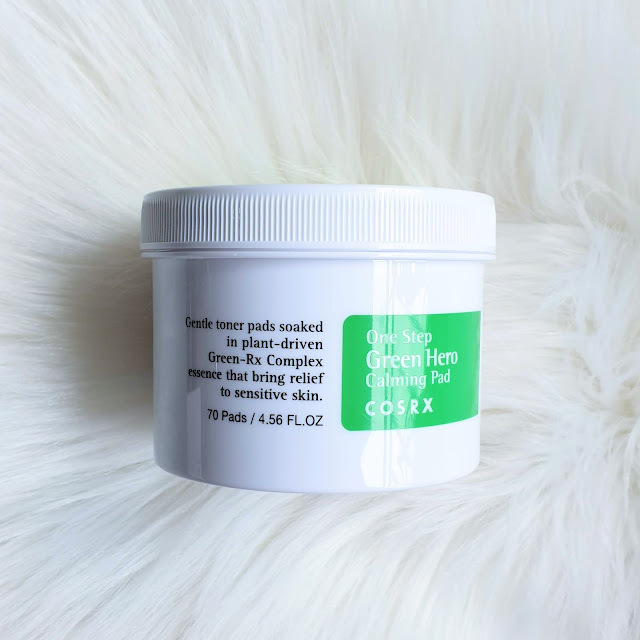 Toner pads! I honestly don't know what's the generic term for this product but that's what I'm calling all the toners or liquids that come with cotton pads and usually packaged in tubs. The first toner pad I've got is a sister product to this number from the brand COSRX and it's one of those products that took me the longest to finish as I'm not an acne-prone person but beginning mid last year where I turned 30, I've noticed that some of facial area has started to become dry and flaky; thanks to episodes of allergic reactions but even after more than 6 months, the dry area doesn't seems to improve as much as I want to hence I'm looking for a solution/product that can help with the dryness at the same time doesn't irritate my skin (unlike abrasive physical scrubs or cleansing brush) in the process. At this point, I know an exfoliating toner that usually contain AHA, BHA even PHA (gentle acids) can actually do that but I'm still looking for one that still offer hydration and peeling off i.e. exfoliate the dead skin cells gently. If you aren't familiar with acids in skincare, here's article that I found recently. Now that you know where I stand when it comes to gentle acids in skincare, let's go to basic details of this product! Swipe the embossing side across the face avoiding eye area after cleansing. Swipe the softer side across the face to pick up the remaining debris. Replace the lid tightly to make sure the pads stay wet and clean. Same as its sister products, this one too came in a box with similar design; the illustration of Mr. RX on top lid of the box with photo of the front elevation of the tub printed at the front part of the box. 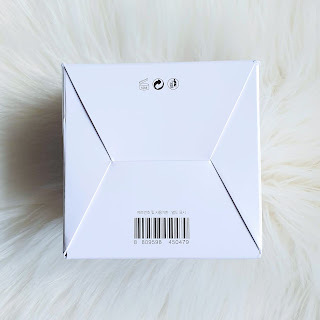 At one side of the box, there's the ingredients list, instruction on how to use and more information printed while the period-after-opening (PAO) symbol is printed at the bottom of the box which indicates the product is to be used within 12 months after opening. The toner pads came within the above sturdy, opaque white tub with a screw lid. There's the expiration date printed at the bottom of tub and the format is YYYY.MM.DD so that's 12th November 2021. There's simple product description and instruction printed at the side of the tub as well. There's also the white product seal that need to be taken off before using the product. 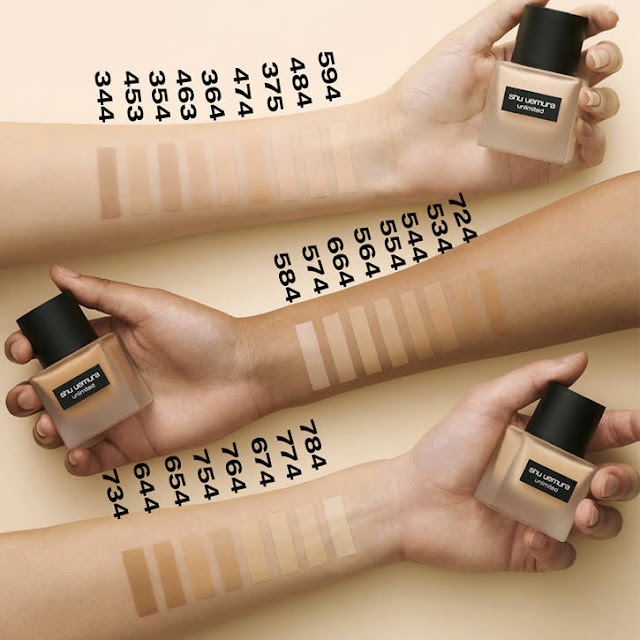 No product seal? I'd suggest for you to return the product ASAP! As I took the photo before using the product, you can see that the 70 pads are almost reaching the top of the tub. Don't you just love it when all the pads are still nicely arranged like that? I have found other products that came with disarranged pads and that's just unsightly. The toner is actually green in colour and there's only little of it left at the bottom of the tub to be absorbed. 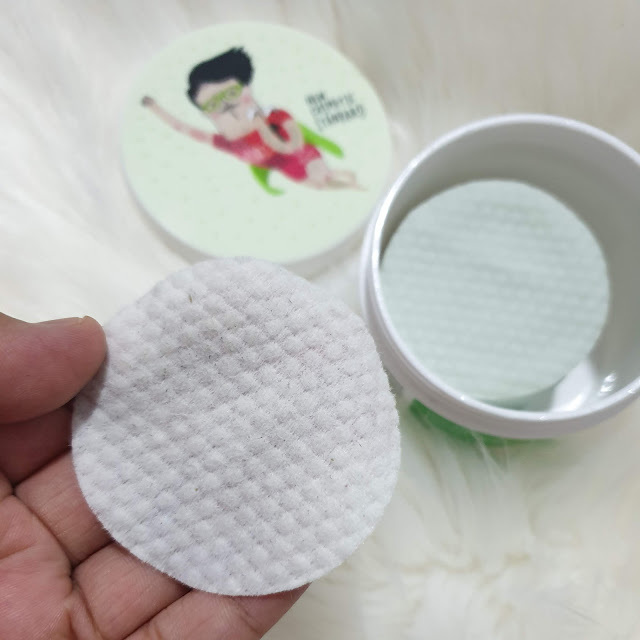 The two sides of the pad is totally different; there's the embossed side of the pad where I usually wipe my whole facial area with and there's the smooth side of the pad where I tap my facial area with for the excess toner in it. As you can see, there's definitely impurities/residues getting caught in there. I'd say this toner-soaked pads are not irritating even to my sensitive facial area; cheeks and jawline. There's a faint scent to it but I can't determine what's the scent is. Overall, I do like it very much! 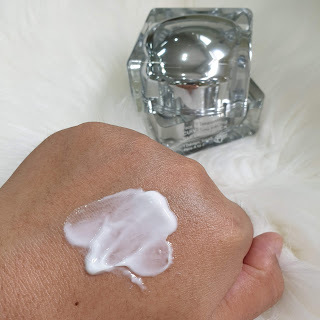 I can't help when it's too easy to use and I kept reaching for it (which means both my morning and evening skincare routines) ever since I've got it! The toner is so soothing and surely toned down my redness to almost none. 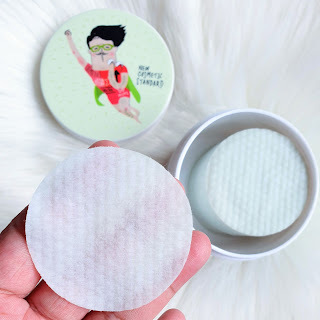 I also use couple of the toner pads as point mask; placing each of the pad on my cheeks for like 5 minutes before wiping off my whole facial area, neck, at the back of my ear and chest area. I sometimes place the whole tub in my refrigerator in the morning and use them for my evening routine. Now that I have all three of these toner pads, I'm using the One Step Moisture Up Pad (contains Hyaluronic Acid, propolis and natural BHA) in the morning while the One Step Original Clear Pad (contains betaine salicylate; a type of BHA and willow bark water; salicylic acid, also type of BHA) in the evening and this One Step Green Hero Calming Pad (contains 75% green tea, 10% Green-RX Complex and 0.25% PHA; Lactobionic Acid) in either of my routine especially when my skin is feeling irritated. I always use either of these pad toners right after cleansing and then proceed with my hydrating toner and the rest of skincare routine. 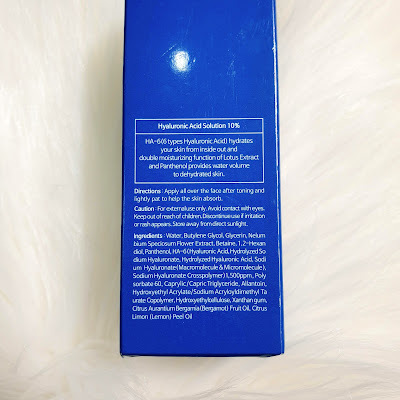 I know people with dry and sensitive skin would appreciate this product and love to have this in their skincare stash but if you're one of those who are a little bit sceptic, please refer this cosDNA page for your further reading. I gotta point out that almost all ingredients are rated 1 with Glycerine rated 2 when it comes to safety. 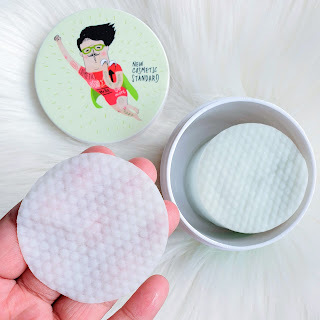 Also, if you're familiar with unpa (beauty SNS platform with almost 2 million downloads) then you should know that this product is one of the winner for Pad Category. This product is also currently ranked at no.14 (best at no. 2) for Mask/Pack Category on Hwahae (beauty SNS platform with almost 4 million downloads)! Speaking of which, I wonder when can we have reliable English beauty SNS platform like these two? 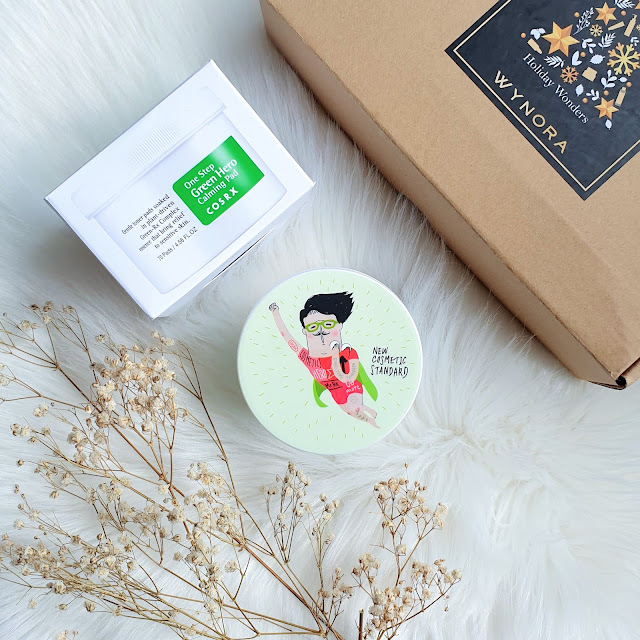 This product is currently available to purchase on Wynora; linked down below and if you're new to Wynora and planning to purchase RM150 and above, sign up to get RM15 off your purchase and use the code "LOVECOSRX" to get 10% off for all COSRX products! Code is valid until February 28th 2019. Before I dive into the product, let me just talk a little bit about Hyraluronic Acid; the star ingredient. As I started doing the whole 1-Day-1-Pack (pack here means sheet mask) around late 2017, I've noticed that most sheet masks that I've ran through; especially hydrating and moisturising ones contain one ingredient in common which is Hyaluronic Acid. 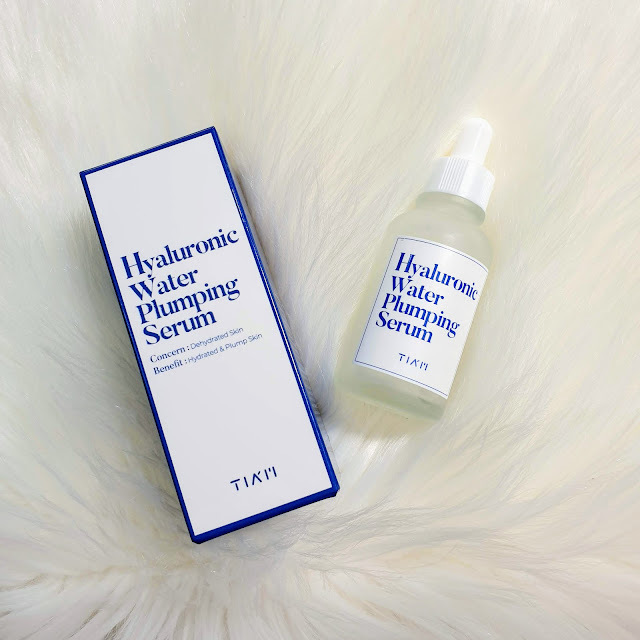 Known to its functions in making the skin nicely hydrated, looking plumped and glowing (as if there's a film of water on your skin), Hyaluronic Acid has the ability to hold 1,000 times its weight in moisture so now that you know what to expect from this product, let's get started! 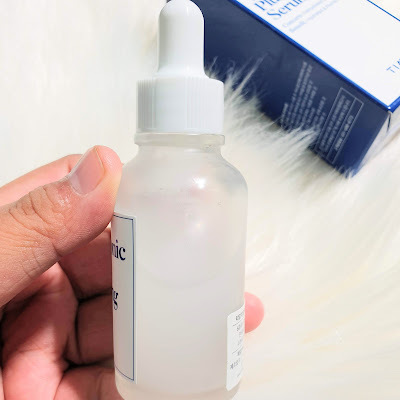 About 3 weeks ago, I've received the above serum from the brand's global Instagram page @tiam_global through their Reviewer Recruit Event that concluded last month and it's the first hyaluronic acid serum I ever tried therefore I am so excited to see what this serum can do to help my currently dehydrated skin thanks to hospital dry and cold environment that I'm enduring for the past few weeks! But first, let's go to basic details on the serum. 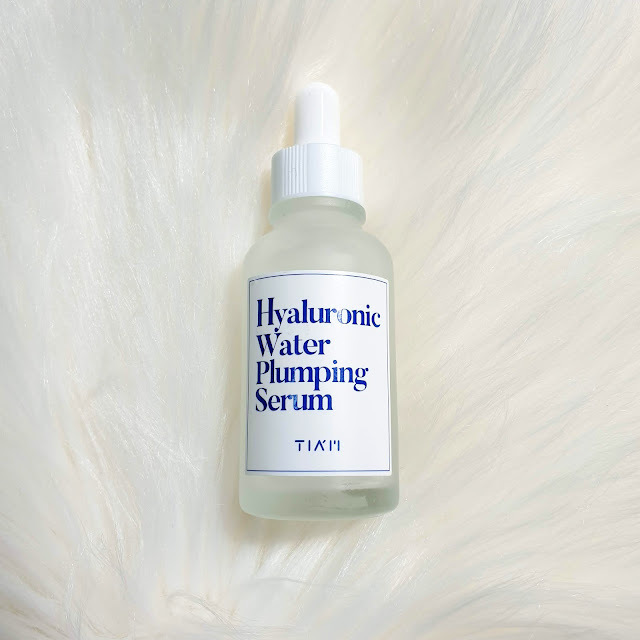 A hydrating serum that infused with the Hyaluronic Acid Complex to instantly boost the moisture level of dehydrated skin. Blended with lotus extract and panthenol to prevent moisture loss while leaving the skin feeling plumped. 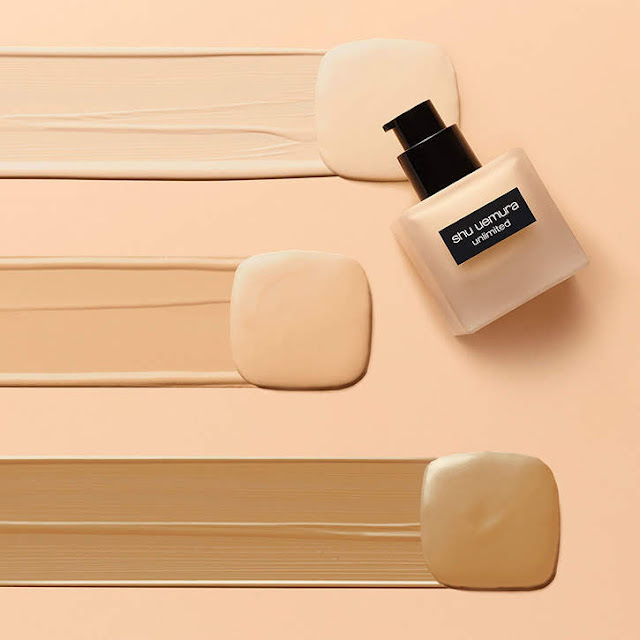 This versatile formula can be mixed with liquid foundation or BB cream for a hydrating glow. Apply 2 to 3 drops onto the face after prepping the skin with toner. Gently massage the face in circular motions and let absorb. 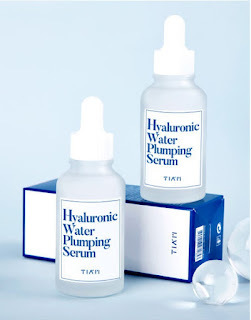 6 different types of Hyaluronic Acid in various sizes (high and low molecules) that penetrate deep into the different skin depths and hydrate the skin from inside and out. 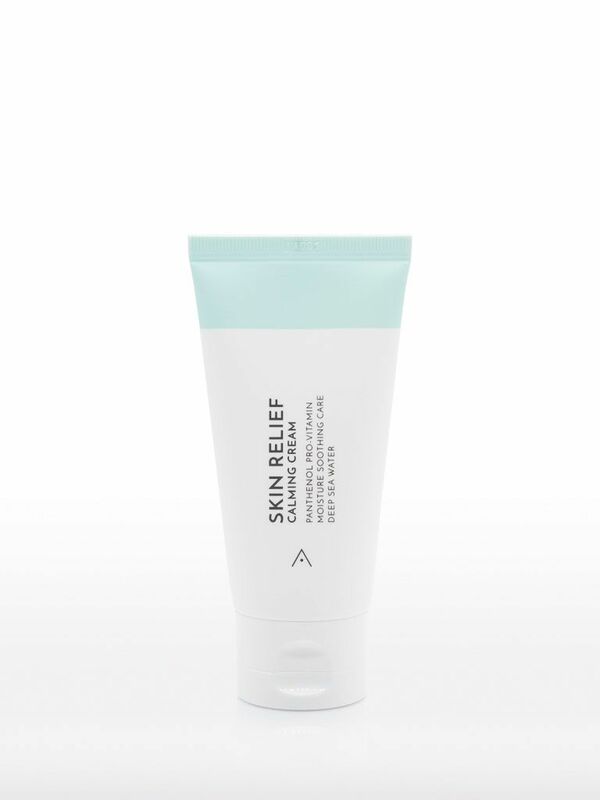 Attracts moisture to the surface of the skin and forms moisture barrier to prevent any future moisture loss. Provides rich moisture to the epidermis and provides your skin with a continuous burst of intense hydration. Gradually releases abundant moisture from the epidermis to keep skin hydrated throughout the day. 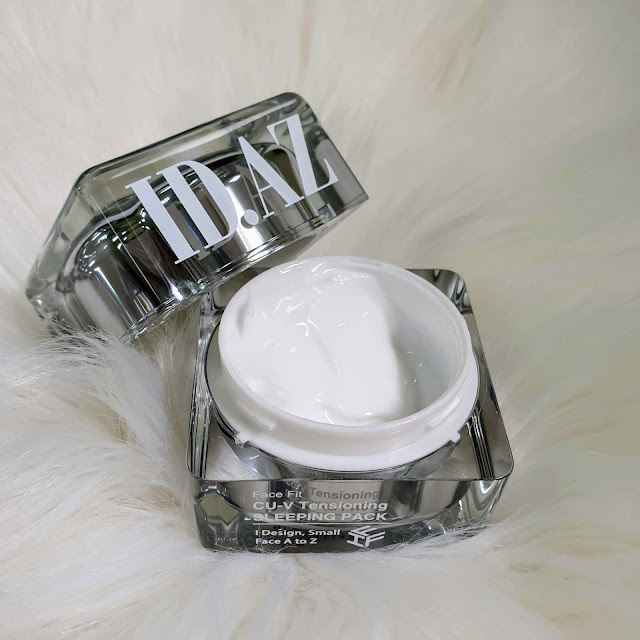 Hydrates deep into the layers of dermis to increase in water density and keep your skin firm. Hydrates deep into the dermis layer of the skin and provides deep hydration. Locks in moisture and penetrates deep into the dermis layer of the skin to enhance the look of facial volume i.e. plump up the skin! Lotus Extract - known for its moisturising, nourishing function also improve skin elasticity. Panthenol - Enhance skin barrier. 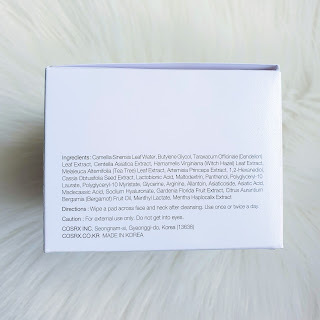 The product came within a box and with other sides having Korean product description, one of the side has English product information including the ingredients list. The product came in that glass bottle with a simple label sticker. I love its simplicity. 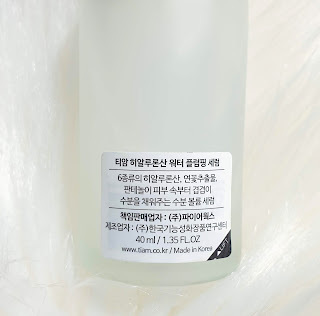 At the back of the small bottle, there's a double sticker which at the inner sticker, the brand printed a tip and direction on using the serum in English. Of course, the popular method to dispense a product chosen by beauty companies these days would be using a pipette. It's easy and much more affordable compared to pump, I'm guessing. The serum is both watery and slightly runny. It's also have a slightly milkish colour to it but once applied; evened out, it'll go nice and transparent with a little sheen to it. The finish is just nicely moisturised-looking and I don't feel tackiness or anything. I usually don't care much for essence, serum even ampoules finishes as I'm going to apply moisturiser on top anyway so even if it's tacky, it's alright. 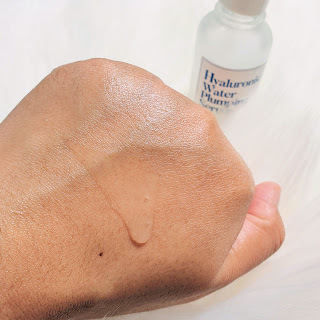 I normally don't have wait times between application but I've noticed that the finish actually doesn't dries down or anything after several minutes and it does feel slightly heavy on skin so I'd suggest for you to massage a little bit more before moving onto your next step for your skincare routine. 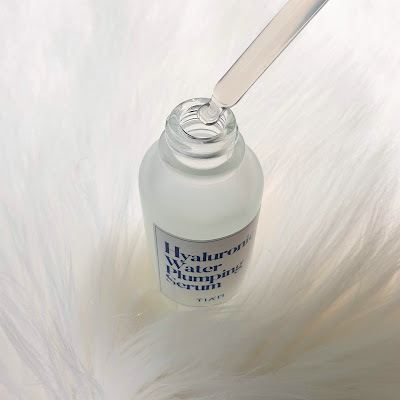 Hyaluronic Acid can be combined its usage with vitamin products especially Vitamin C-based product to enhance the result; hydrated, moisturised skin with brighter complexion. I haven't got any Vitamin C yet as I've just got brightening serum for that but I'll be sure to update you guys once I did. Overall, I do like this serum. 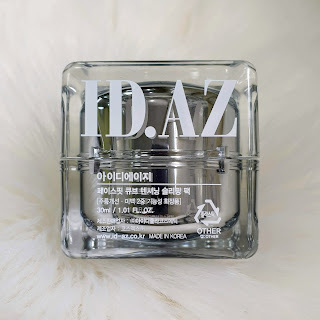 After using it almost everyday for the past few weeks, I can totally see how it helps with my dehydrated facial area which is U-Zone i.e cheeks to jawline and I'm going to continue on using the product to really see how it works after I actually finished a single bottle and boy, I think I'd be looking forward to purchase another bottle for this as it's fun to mix this serum product around with brightening skincare products that tend to dry out my skin after using them for years or maybe it's just a sign that I need to incorporate more heavier, thicker, moisturising, nourishing i.e. 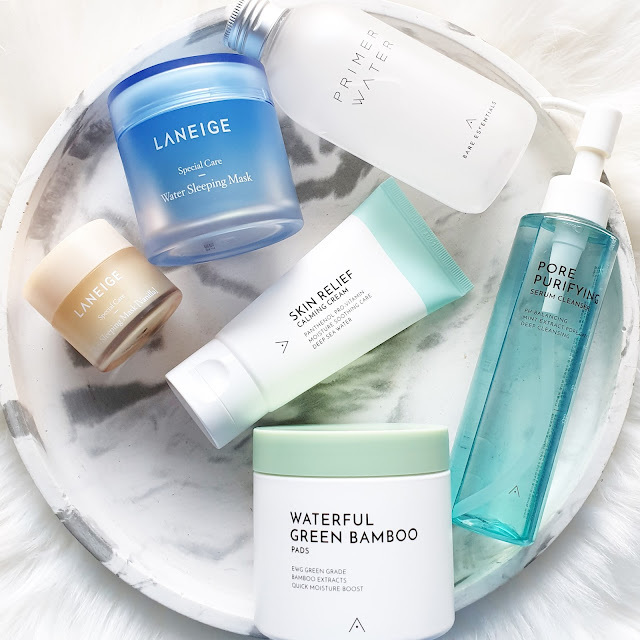 anti-aging skincare products in my daily skincare routines. With that said, I seriously need to amp up my day skincare routine as I'm being lazy with just 3 to 5 products every single day for the past year. I guess that's all from me so do let me know your thoughts on this product and tell me if you have tried a similar product to this by leaving comments down below. TIA'M means "a twinkle in the eye when you meet someone for the first time" in Persian. 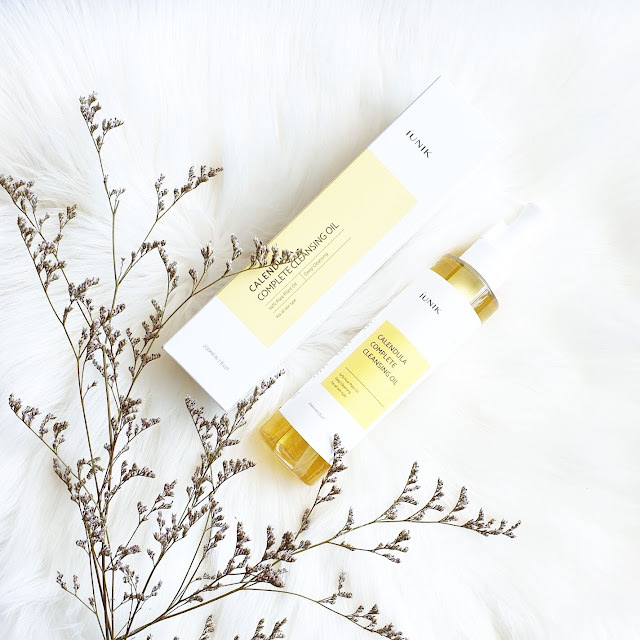 A Korean skincare brand, TIA'M uses safe and natural ingredients to produce effective and affordable products that improve skin from within. 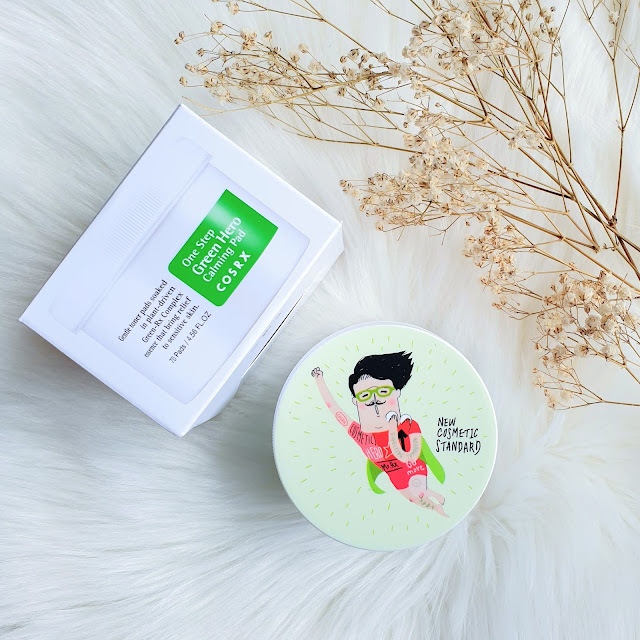 The brand is famous for its Spot Remover Kit, Anti-Pollution Salt Facial Scrub, My Little Pore No Sebum Cream and Aura Milk Face Peeling Cream. All products are manufactured in Korea. 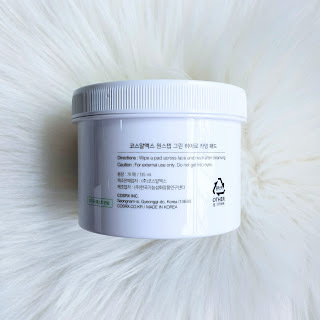 I think at some point of anyone's K-Beauty journey, we will all encounter at least one or two sleeping masks; a product to be used as the last step of night skincare routine (or the only step after cleansing in my night skincare routine after an extremely long day) that to be applied on top or instead of night moisturiser. 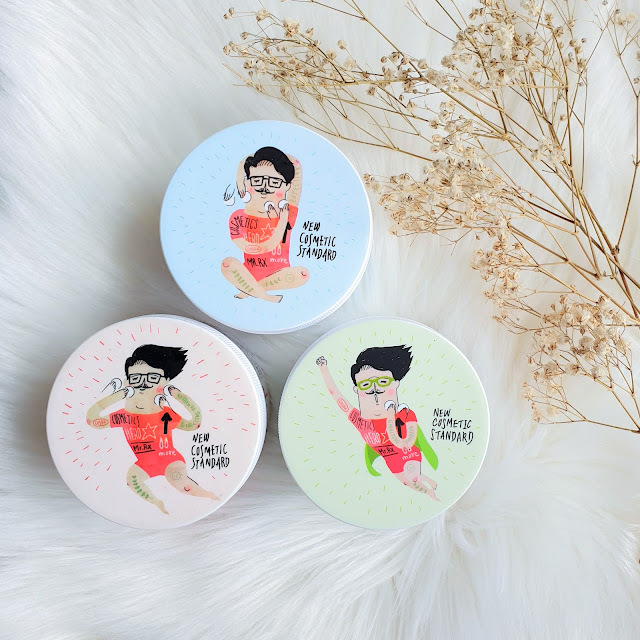 Unlike at least 5 years ago, there are many brands came out with their own concoction of sleeping mask these days and boy, am I glad to get my hands on several to try? Yes! Because the one sleeping mask that everyone seems to rave around the blogosphere for the past years just decided to not work on my skin; at least not anymore and its sister product that I actually love has been discontinued hence the 'hunt' for the next HG sleeping mask begun around early last year and I've tried some sleeping masks from different brands with different set of targeted concerns. Here I thought my search is over after a whole year of trying and testing (and giving away some products that just don't work) until The Butterfly Project; local blogging community's front person; Tammy @hellotammylim sent me this sleeping mask from the brand ID.AZ; Korean beauty company that promise to slim, tighten and smooth the facial V-line overnight. Before I go further into the product, let's go to basic details of this product first. Functional cosmetics product line that aids in finding your beauty contours. With propriety ingredients and patented formulations, FACE FIT helps in slimming, giving volume and lifting through its product line up. Lifting - Promotes slimming with firming functions. Helps with smoothing of wrinkles by enhancing elastin formation and helps maintain it. SDC (Sodium Deoxycholate) - Helps with smoothing and tightening the facial area and breaking the fat in skin. 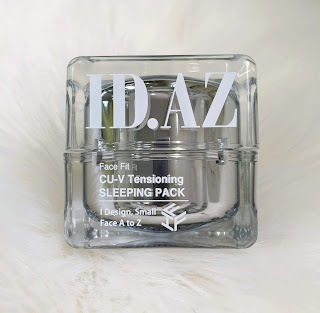 How to Use: Use a dime-sized amount of sleeping pack after your usual serums, essences, and ampoules. Can be used over moisturizer or can replace your usual moisturizer. 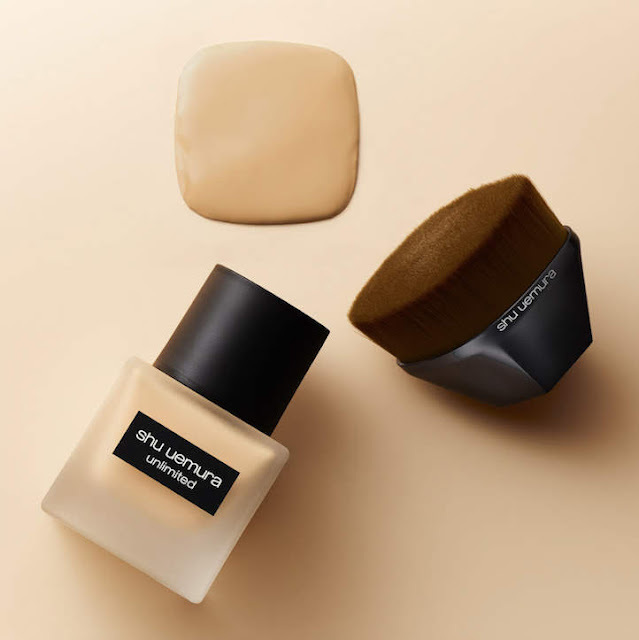 To apply, warm between the fingertips and apply in painterly motions from chin to cheek to aid in the lifting effect, then pat all over the face until absorbed. Squalane is derived from hydrogenation of squalene; used to be sourced from shark liver oil but in recent years squalene is being sourced from olive although it can be quite costly but we don't want to continue on endangering sharks, right? I know, I'm sorry that I couldn't retake the photos of the box primarily because I've unintentionally discarded it during my New Year Cleaning Event that took place in my room last weekend which I've only realised after noticing the photos that supposedly synced to Google Photos account were gone. I thought deleting them from my phone memory won't affect those already synced into albums on Google Photos but nope! Transitioning to my new Samsung Galaxy Note 9 isn't as smooth as it seems. 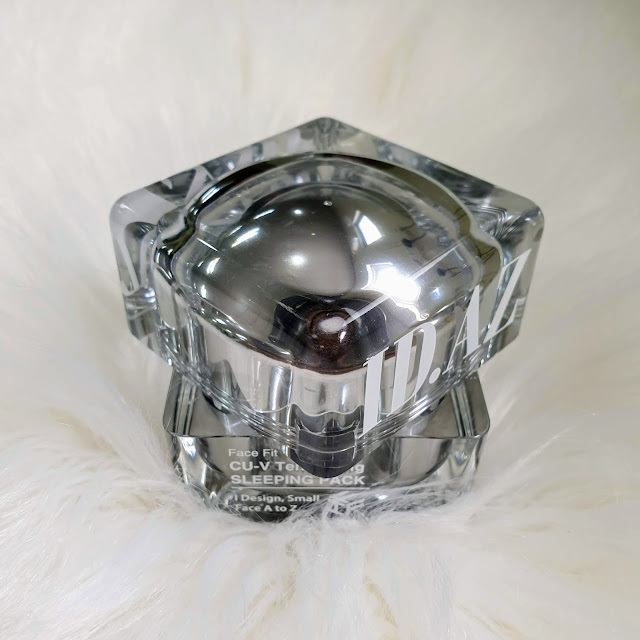 So, I only had the actual product on its own and a single photo from the previous product photo shoot session that I sent to Tammy prior this review to verify some stuffs. The product came in that cube-like tub with English product name printed on the front and Korean product name with simple description at the back. Honestly, I'm way over this kind of fancy packaging; bulky and even with that minimal-looking outlook, I'm gonna pass i.e. will transfer into much smaller travel container. I know my mum and aunties love this kind of packaging though. There's English product description printed on a white label sticker with everything else is in Korean but I think all the information on the sticker should be sufficient enough plus they even include the whole ingredients list. The product expiry date is printed at the bottom of the tub and on the label sticker at the bottom part with the format being YYYYMMDD. However, if you can see in the above photo you'd notice that the dates printed are different. I thought there's going to be at least 12 months to this product after opening but I guess not. I'm still waiting for their representative to provide more information on this so I'll update you guys on that later. 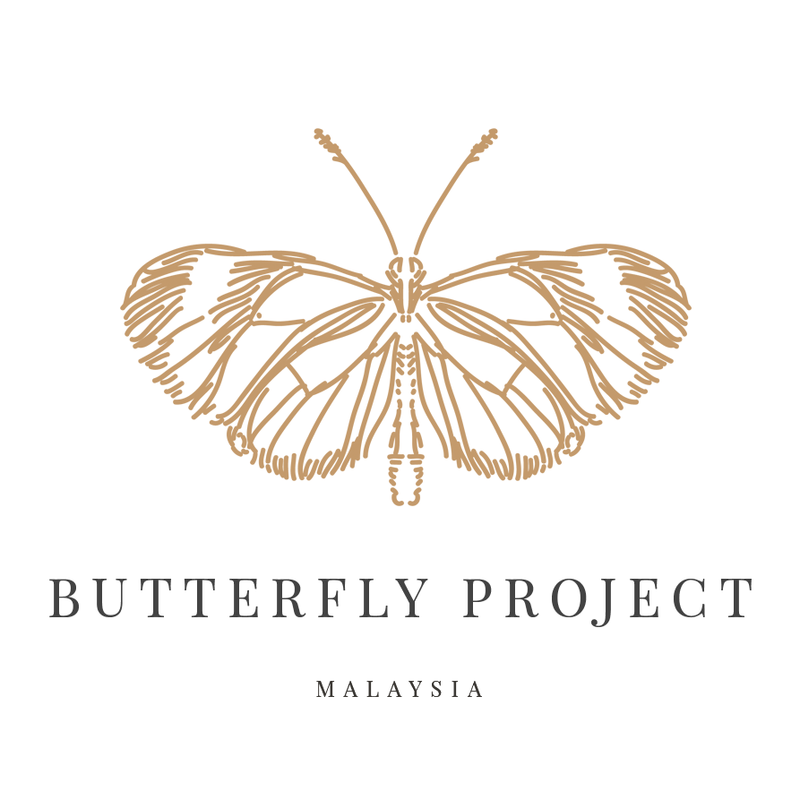 Update on 18th February 2019 | According to The Butterfly Project representative, ID.AZ Malaysian PR team wasn't aware of the different dates printed on the English product label sticker and forwarded the products for review purposes to blogger in as-is condition i.e. as how they received from the brand's South Korean PR team. Oh, well. I guess all I can say that I'm just relieved that the product sent to us are not expired and we have ample of time to try and test the product anyway. The product actually came with an inner lid to prevent the product being spilled accidentally or just for hygiene purposes. As I've already figured that I won't be traveling with the product, I've got rid of it and stationed this product on my shelf rather permanently. 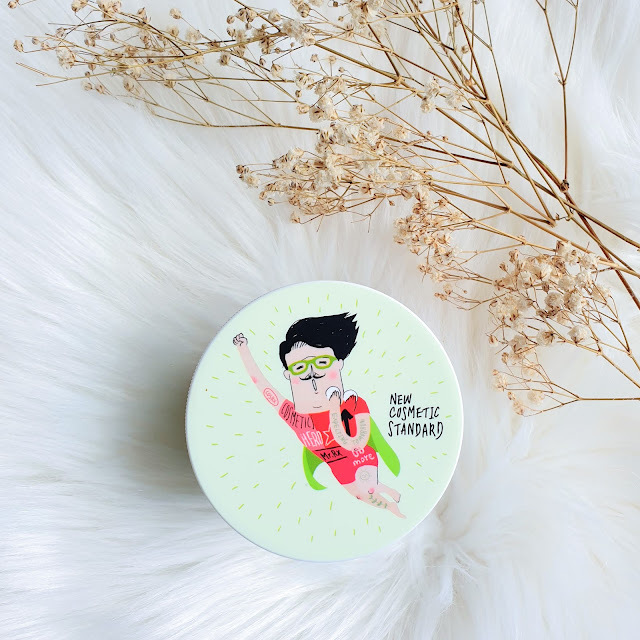 I usually scoop that much of the sleeping mask for every application on my U-zone (cheeks and jawline) and with some excess, I'd be massaging my neck area until all the product absorbed into my skin which take around 5 minutes. I've tried using the sleeping mask on its own (cleanse, tone and use the product), with hydrating serum (use the sleeping mask as sealant) and on top of moisturiser like emulsion and night cream (cleanse, tone, emulsion or cream then sleeping mask) but after trying several times; can't help being sneaky trying to cut down number of products for my night routine lately, I think it's best to use this product instead of night moisturiser like 2 times a week. 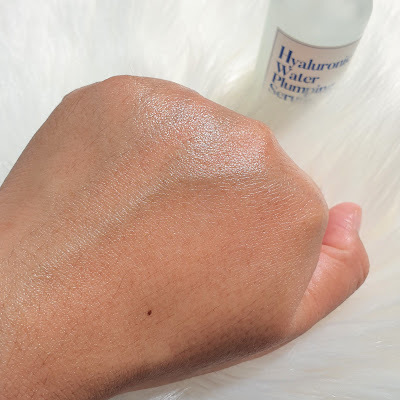 Using it together is definitely too much for my normal to oily skin but if you're on drier side, it's better to amp up the usage rather than layering too much of heavy products as I definitely had breakouts after doing just that. 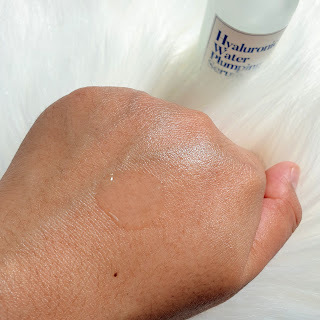 I does feel heavy upon application but as I massage my skin along for several minutes while singing to Ariana Grande's Thank You, Next, the finishes dries down a little bit to just well-moisturised skin; no stickiness whatsoever and I wake up to plumped, hydrated skin with less pores appearances the next morning. I haven't been noticing my skin become brighter or anything and the same goes to whether this actually helps with my double-chin situation as I've only been using it over a week so I'll update you guys on that later. We met people who came for surgery and dermatology consultations, but turned their backs because of psychological burden. Seeing them, we started to research about helping them without undergoing a surgery. That was the start of ‘id Pla Cosmetics’. Based on clinical experience over the 18 years and 60,000 clinical cases, we are proud to extend our expertise to ‘Pla Cosmetics’. id aims for a cosmetics brand that cares of sensitive skin as well as facial contour. 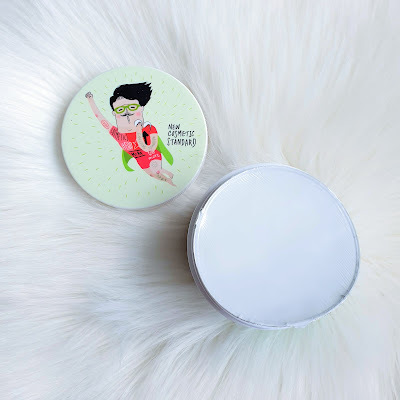 Beyond derma cosmetics - Pla cosmetics ! This is id’s philosophy. As you can see in my skincare routines, I've been using several products from The Therapy; an anti-aging skincare line by THE FACE SHOP for the past year which had lead me to getting more sister products from the same line early this month at their Buy 2 Free 1 sale! 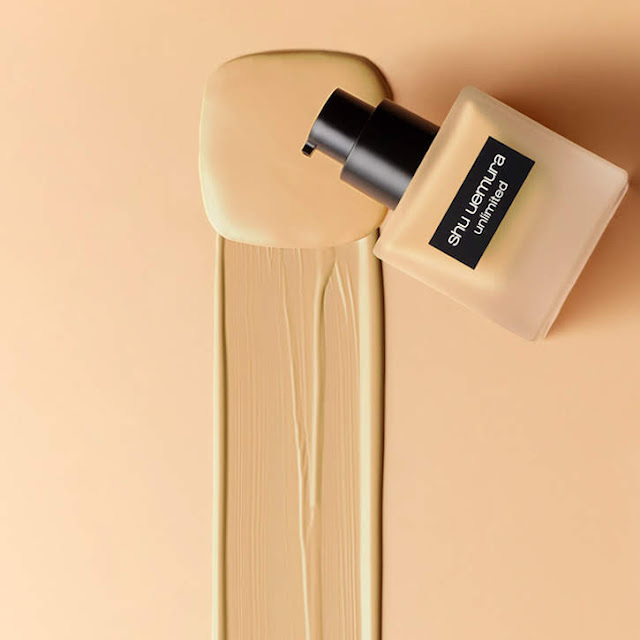 Usually before deciding on buying anything from this brand, I'd be trying a sample or two so after trying a deluxe sample that was given to me as GWP recently, I bought the full-sized Essential Formula Foaming Cleanser sister. Before jumping into the review, I'll have you guys know that the reason to get this cleanser is mostly because I'm enjoying more hydrating, moisturising, even nourishing skincare products as my normal to oily skin is leaning towards drier side these days so when it comes to cleansing products, I'd prefer cleansing balms and oils rather than micellar waters as first cleansers and as for second cleansers, I'd choose cleansing foams that don't bubble up so much as those tend to give me dry, taut skin afterwards. Now let's get into it, shall we? 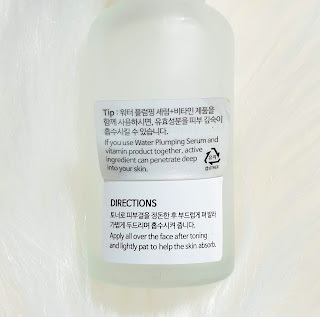 I've noticed that this cleanser is from the brand's The Therapy Essential Formula hence I'm expecting for it to be a moisturising product targeting those with normal to dry skin. 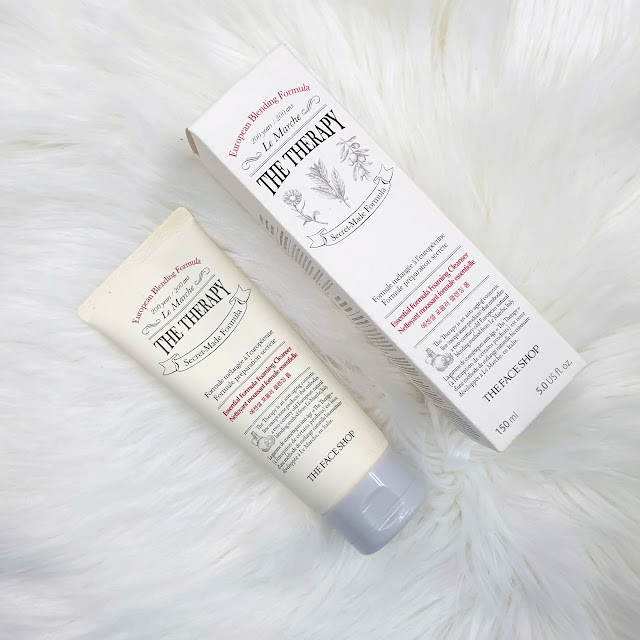 I'd say that The Therapy skincare line itself is aiming those aged 30 and above like myself but if you are with similar skin type then why not give yourself a chance to try the whole line? Like the rest of the The Therapy skincare products, this cleanser came in that beige box with vintage vibe especially due to the fonts and logo design. Such lovely vintage French style I'd say. At the side box, there's the origin story of the The Therapy natural blending method with English and French product description on the other side of the box. 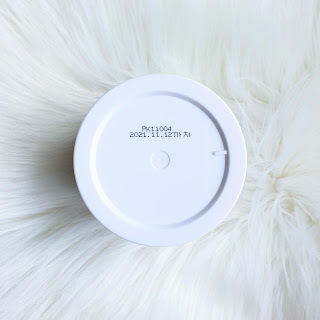 It's important to note that this product is formulated without 7 additives; parabens, tar colorant, animal-derived ingredients, mineral oil, talc, paraffin, polyacrylamide. Also, the cleanser does contains Alcohol Denat which can be irritating to sensitive skin but looking at its position not in top 5 of the ingredient list, I was assured by that and don't find this irritating my sensitive facial area which is my U-zone; lower cheeks and jawline at all. Still, if you could find some time and get yourself a sample to try then please do so. At the bottom of the box, there's indication that the product is to be used within 12 months after opened. Note the distributor sticker; LG Household & Health Care which is the licensed distributor here in Malaysia so no worries! It's definitely authentic product from South Korea! The product came in a tube packaging with similar design to the box and has the same product description on it. I'm loving the look and feel of the tube for sure. There's simple product name at the back of the tube and the expiry date is embossed at the top of the tube for easy reference. The format is YYYYMMDD. 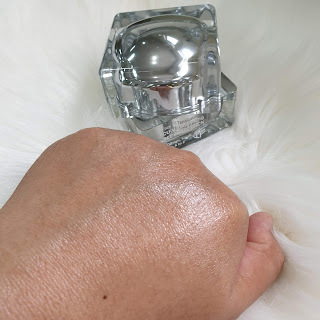 The cleanser came with a nice cap for easy product dispense and the proper amount of cleanser you should be using for the whole facial area should be in the size of Malaysian 20 cent coin or ~20mm. I always dispense like a pea-sized of the cleanser which as you can see when it's flattened out above, it's roughly in the size of 20 cent coin. I've been using this cleanser a lot in my night skincare routine as a second cleanser so after mixing with some lukewarm water, I'd be lathering it up and thoroughly massage it all over my facial area. 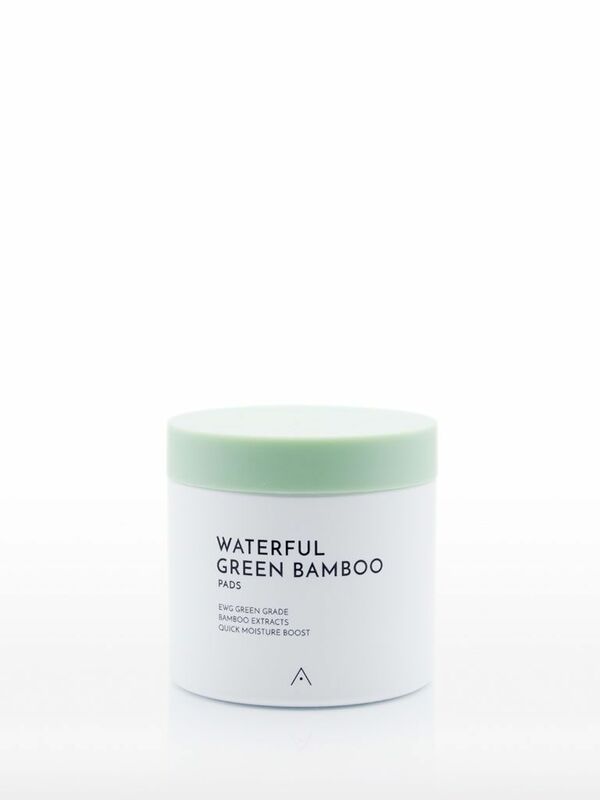 This doesn't bubble up so much as it feels rich, smooth and creamy foam along the cleansing routine. This cleanser has the same scent as its other sister product which is nice and not overpowering at all. After rinsing it off, I usually let my face to air-dry after tapping the excess water for a minute; to absorb as much moisture as I can then followed up with the first treatment product for the day. Overall, I'd give this product 4.5/5. I really do like it as it does what it claims; rich foam that gives luxurious feeling but seems to work rather gently on my skin without leaving it feeling dry, taut as my skin is indeed feeling moisturised, nice and smooth. After double cleansing steps, I'd definitely recommend for you guys to add another step before toner and that would be a first treatment product and as shown in the above photo, my choice here would be the cleanser sister product; I'd say it's the star of The Therapy skincare line, First Serum. 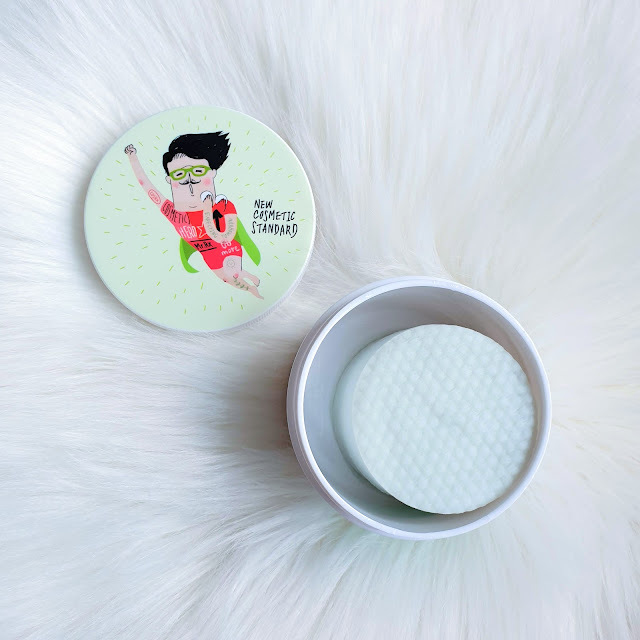 This is simply to be used with cotton pads and not only removes any excess from the cleansing step, it moisturises, making my skin feeling smooth and plump. Disclaimer: Links provided are non-affiliated and merely for your sole convenience. The product was bought with my own money and all my opinions stated here are my own based on my personal experience using the above product.